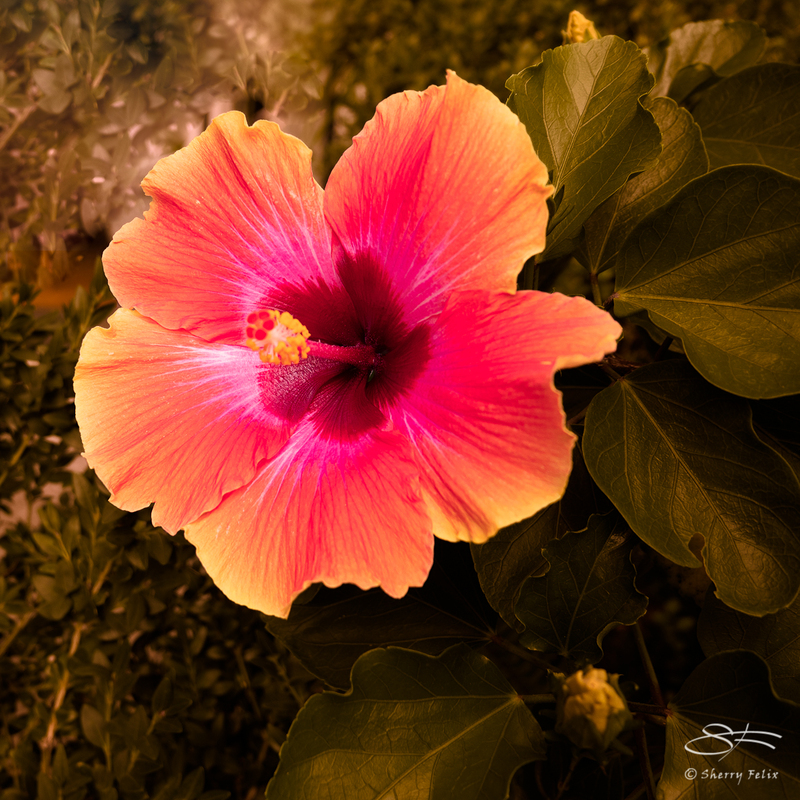 There are a lot of hibiscus flowers in the neighborhood. This one was at street leval under the High Line. I think this is the correct variety. The pink and orange make it look a if it would glow in the dark. Thanks Cybele. Changing the green of the leaves helped bring it out more. No change to the flower. True. Looks artificial. There it was in the shade almost pulsing. Beautiful image, Sherry! The colors are just glowing! True to life. I’m on a hibiscus roll. Hi Jet. It is. Thanks.